The D5200 is in the shop getting a thorough cleaning, so I dug out the D3100. I needed to see how it was shooting as I want to use it for shooting wider angle shots during totality of the eclipse. 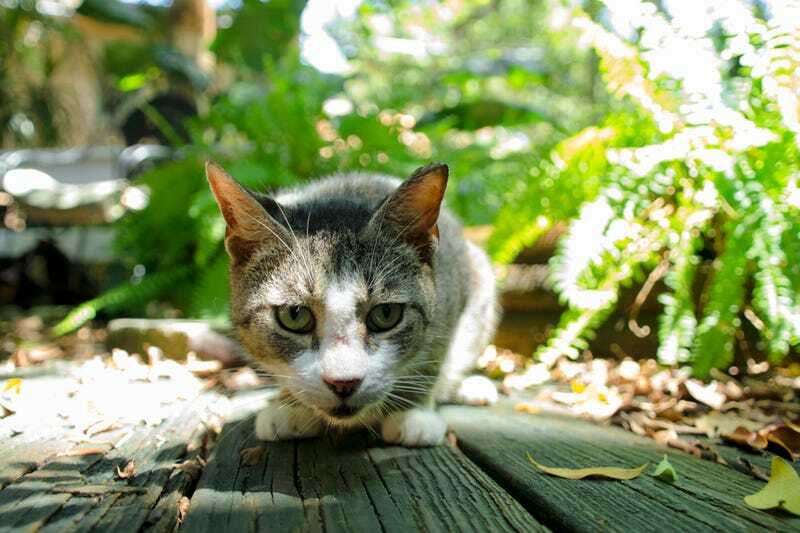 I took some shots of the feral cats that live on our block and backyard. Tonight, I took it out for some long exposures. I got some lightning. And I caught someone practicing their fire spinning. These were all taken with the new 18-300mm. I’ll be using the 1962 Nikkor 50mm for the totality sky shots. When we have a clear night this weekend, I’ll take the D3100 out with the 50mm for some testing, just to make sure I have it all dialed in as totality is only two and half minutes. No room or time for error. So far, not too bad for an old D3100. The new glass makes a huge difference. But I’ll be shooting the eclipse with the 18-300 on the D5200, so the D3100 gets the vintage treatment. Oh, I did find a 2x teleconverter on eBay that was practically brand new. New it goes for $180, but it was $50 as the seller didn’t know what they had and listed it under the wrong brand. Score! And if I don’t like the results and want to get rid of it, I can easily sell it for $100. It should arrive in time to give me a few days to play with it before the eclipse.